The Tallis Scholars were founded in 1973 by their director, Peter Phillips. Through their recordings and concert performances, they have established themselves as the leading exponents of Renaissance sacred vocal music throughout the world. The Tallis Scholars perform in both sacred and secular venues, usually giving around 70 concerts each year across the globe. In 2013 the group celebrated their 40th anniversary with a World Tour performing 99 events in 80 venues in 16 countries and travelling sufficient air-miles to circumnavigate the globe four times. They kicked off the year with a spectacular concert in St Paul͛s Cathedral, London, including a performance of Thomas Tallis͛40-part motet Spem in alium and the world premieres of works written specially for them by Gabriel Jackson and Eric Whitacre. Their recording of the Missa Gloria tibi Trinitas by John Taverner, was released on the exact anniversary of their first concert in 1973 and enjoyed six weeks at number one in the UK Specialist Classical Album Chart. On 21st September 2015 the group gave their 2000th concert at St John͛s Smith Square in London. The Tallis Scholars’ career highlights have included a tour of China in 1999 and 2014; and the privilege of performing in the Sistine Chapel in April 1994 to mark the final stage of the complete restoration of the Michelangelo frescoes, broadcast on Italian and Japanese television. The ensemble has commissioned many contemporary composers during their history: in 1998 they celebrated their 25th Anniversary with a special concert in London’s National Gallery, premiering a Sir John Tavener work written for the group and narrated by Sting. A further performance was given with Sir Paul McCartney in New York in 2000. Composers they have worked with recently include Eric Whitacre, Nico Muhly, Gabriel Jackson and Matthew Martin and Owain Park. The Tallis Scholars are broadcast regularly on radio (including performances from the BBC Proms at the Royal Albert Hall in 2007, 2008, 2011, 2013 and 2014) and have also been featured on the acclaimed ITV programme The Southbank Show. Much of The Tallis Scholars reputation for their pioneering work has come from their association with Gimell Records, set up by Peter Phillips and Steve Smith in 1980 solely to record the group. In February 1994 Peter Phillips and The Tallis Scholars performed on the 400th anniversary of the death of Palestrina in the Basilica of Santa Maria Maggiore, Rome, where Palestrina had trained as a choirboy and later worked as Maestro di Cappella. The concerts were recorded by Gimell and are available on both CD and DVD. Recordings by The Tallis Scholars have attracted many awards throughout the world. In 1987 their recording of Josquin’s Missa La sol fa re mi and Missa Pange lingua received Gramophone magazine͛s Record of the Year award, the first recording of early music ever to win this coveted award. In 1989 the French magazine Diapason gave two of its Diapason d’Or de l’Année awards for the recordings of a mass and motets by Lassus and for Josquin’s two masses based on the chanson L’Homme armé. Their recording of Palestrina’s Missa Assumpta est Maria and Missa Sicut lilium was awarded Gramophone’s Early Music Award in 1991; they received the 1994 Early Music Award for their recording of music by Cipriano de Rore; and the same distinction again in 2005 for their disc of music by John Browne. 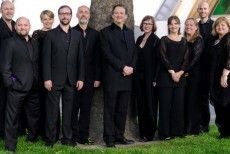 The Tallis Scholars were nominated for a Grammy Award in 2001, 2009 and 2010. In November 2012 their recording of Josquin’s Missa De beata virgine and Missa Ave maris stella received a Diapason d͛Or de l͛Année and in their 40th anniversary year they were welcomed into the Gramophone ͚Hall of Fame͛ by public vote. In a departure for the group in Spring 2015 The Tallis Scholars released a disc of music by Arvo Pärt called Tintinnabuli which has received great praise. The latest recording of Josquin masses Missa Di dadi and Missa Une mousse de Biscaye was released in October 2016. These accolades & achievements are continuing evidence of the exceptionally high standard maintained by The Tallis Scholars, and of their dedication to one of the great repertoires in Western classical music. For the latest opportunities to hear The Tallis Scholars in concert, or for more information on how to purchase CDs, Downloads or DVDs of the group, please visit their website. Peter Phillips has dedicated his career to the research and performance of Renaissance polyphony, and to the perfecting of choral sound. Having won a scholarship to Oxford in 1972, he gained experience as an undergraduate in conducting small vocal ensembles, already experimenting with the rarer parts of the repertoire. He founded The Tallis Scholars in 1973, with whom he has now appeared in over 2,200 concerts and made over 60 discs, encouraging interest in polyphony all over the world. As a result of this commitment Peter Phillips and The Tallis Scholars have done more than any other group to establish the sacred vocal music of the Renaissance as one of the great repertoires of Western classical music. Peter Phillips also conducts other specialist ensembles. He is currently working with the BBC Singers, the Netherlands Chamber Choir, the Estonian Philharmonic Chamber Choir and the Choeur de Chambre de Namur. He is patron of the choirs of Merton College (Oxford), Sansara (London), El Leon de Oro (Spain), and of the Festivals of Portsmouth and Clifton; he also hosts the annual Tallis Scholars Summer Course in Avila (Spain). In 2014 he launched the London International A Cappella Choir Competition in St John’s Smith Square, attracting choirs from all over the world. 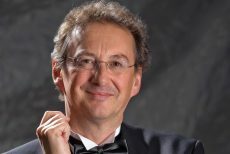 In addition to conducting, Peter Phillips is well-known as a writer. For 33 years he contributed a regular music column (as well as one, more briefly, on cricket) to The Spectator. In 1995 he became the owner and Publisher of The Musical Times, the oldest continuously published music journal in the world. His first book, English Sacred Music 1549-1649, was published by Gimell in 1991, while his second, What We Really Do, appeared in 2013. During 2018 BBC Radio 3 will broadcast his view of Renaissance polyphony, in a series of six hour-long programmes. In 2005 Peter Phillips was made a Chevalier de l’Ordre des Arts et des Lettres by the French Minister of Culture, a decoration intended to honour individuals who have contributed to the understanding of French culture in the world. In 2008 Peter began an association with Merton College, Oxford, where he helped to found the chapel choir, and where he is a Bodley Fellow.